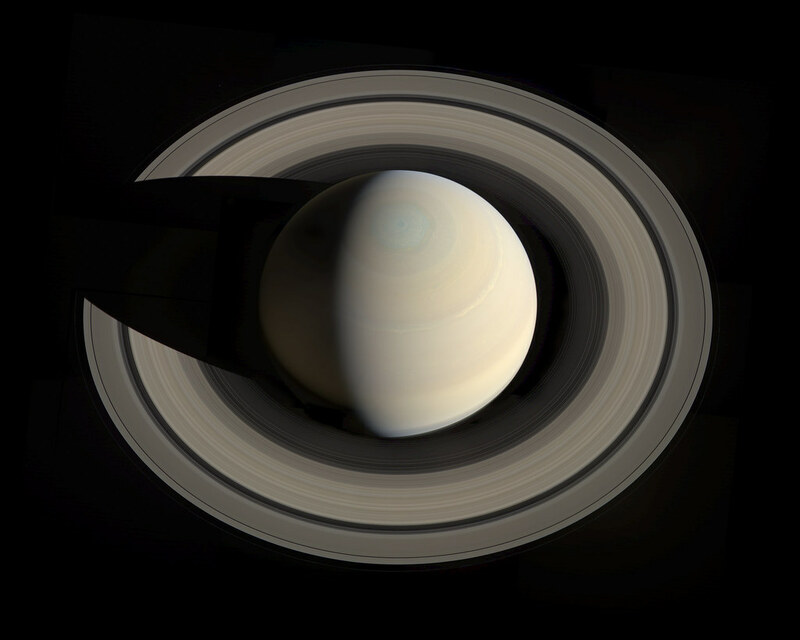 Why is Saturn's shadow on the dark side? If the light is only moon reflection then the other side should have direct shine. Most of the light is direct sun light coming from the right side of the picture, hence the shadow on the left. The ringshine is illuminating the darker (but not completely dark) side of the planet on the left.